Why in the world is this timer only printing the string one time and not looping like it's set to? Using SetTimer does not execute the nodes after it multiple times, it executes the given function specified in the FunctionName parameter. 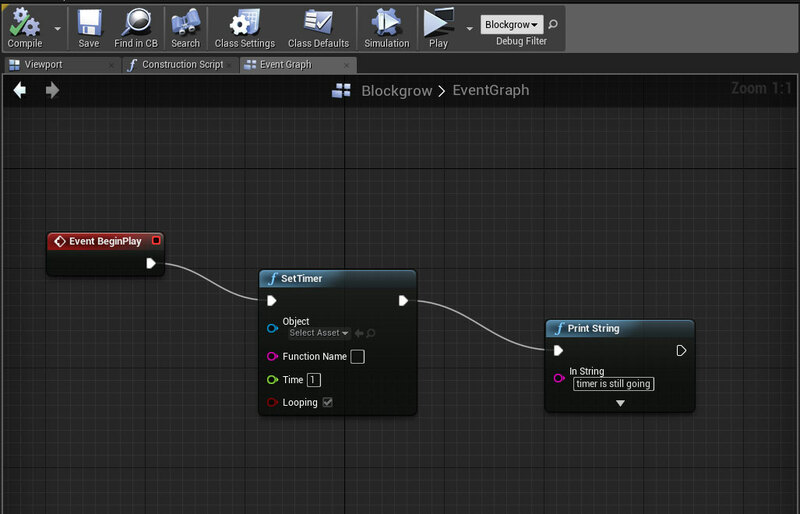 Create a Custom Event and put your Print node in that, dont forget to put the name of the Custom Event into the FunctionName parameter on the SetTimer node. Terrain visibility via blueprint possible?